Are you one of those people who love To-Do Lists, Calendars, and Habit Trackers? Then you will love a Bullet Journal! A Bullet Journal can seem pretty intimidating to look at with those blank pages, especially when you see beautiful BUJO spreads all over Instagram. How can you start a BUJO? 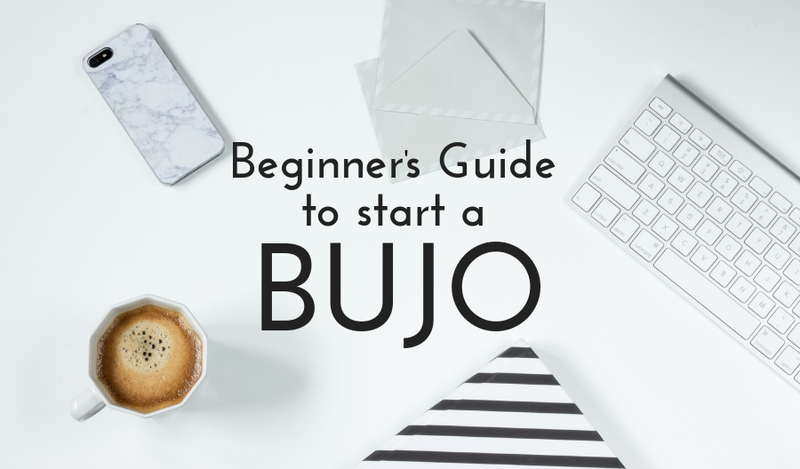 Here is your step by step to go from blank pages to an uber cute BUJO Creative. • Get yourself a good notebook! The size and paperweight are something to look at when buying a notebook, and you will want to factor in if you are going to be using any specific type of pen like a Brush Pen or Ballpoint. The thicker the paperweight, the more it can handle heavier inks. • Get yourself a good pen or pen set! Investing in good pens never hurt anyone. If you want to keep the same theme throughout your notebook, grab a few different sets of pens to use. 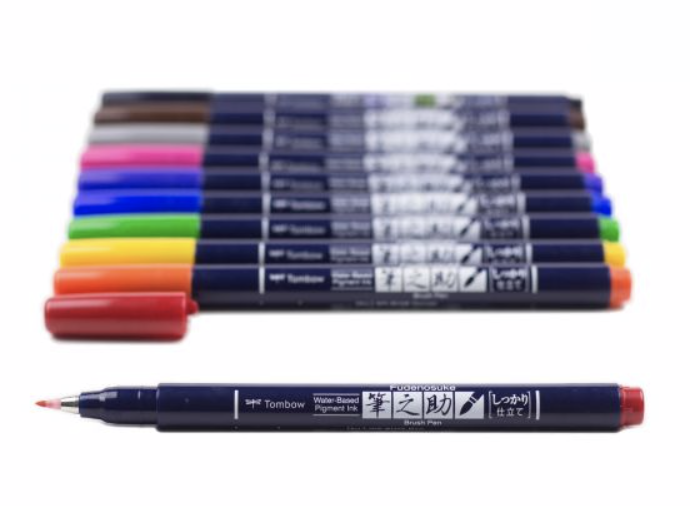 We like Zebra Pens and Tombow. The first 2 pages of your notebook should be used for the purpose of your Index and Key. This will be the place where you track page numbers as well as special symbols or colors you may use. The idea of your Index is that every time you start a new section of your BUJO, the daily log or Goal Tracker, you write the page number(s) in your Index. You will come back here and add your page numbers after we get to that step in the process. Number all of your pages. Obviously, you will want to skip the Index & Key Pages, but after those 2 pages start numbering every page in your notebook. Just like a book has page numbers, your BUJO will too. Pick the upper corner or lower corner to mark your numbers. Pages 1-4 we are going to dedicate to your Future Log or Special Dates of the year. • Divide each page into 3 equal horizontal sections. • Write the name of the Month at the top left section of each section. You can get fancy and buy Bujo Stickers to use for this as well. • Dates and Events for each month will be written in the section to the right. Now we can jump into the fun party; the Monthly Spreads! You will want to use 2 pages for each month. Start with pages 5-6 for your first month. You can make your first month January or throw the current month on there. You can keep it simple and write the name of the month on the top of both pages, then write each day of the month down the left side of the page in a list manner. Or you can check out these Monthly Spreads for inspiration. If you can see where this is going, you will see that Weekly comes after Monthly. You will want to use 2 pages for your Weekly Spread. Remember to go back and update your Index page with the page numbers for your Weekly Spread once you have all of your weeks done. • Create 7 equal horizontal sections on the first page, and label each section with a day of the week. I like to start my week on Wednesday and go through Tuesday, but you can start your week on whatever day you choose. • The right page you can choose to use to your heart’s content. Personally, I like to use this right page to keep track of Goals, Special Events, Daily Tracker, Gratitude and Work Out Log. You can dedicate this page to a motivational quote, a picture of your favorite people or magazine clip from your mood board. For some of us, a Weekly Spread is plenty of room to keep track of dates but if you need more space you can create a Daily Spread. 1-2 pages should be enough for your Daily Spread. • Set up each page into sections based on times. Whatever time you start your day, start your time then. • Add times in 15 min, 30 min or 60 min intervals. Now that you have the basics down, you can use the extra pages (if you have any) to add your own personality to the notebook. Keep track of books you have read or blogs that you want to write. Grab your notebook let’s get this BUJO party started!